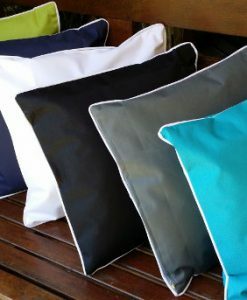 Bring your outdoor / patio furniture to life with Outdoor Cushion Covers in a variety of sizes and fabrics. 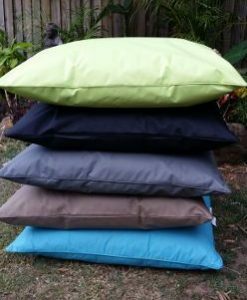 We have the biggest range of outdoor patio cushions in Australia, including our stock cushions, and custom made outdoor cushions. 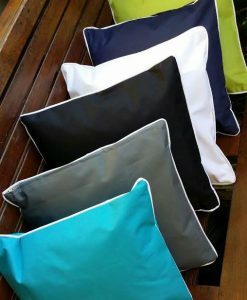 Designed to enhance the look of your outdoor living areas, while standing up to the rigours of the outdoors, our sun-lounge, outdoor chair, day-bed and throw cushions are both visually appealing and highly weather-resistant cushions. Give Kerry a call on 0411 655 360 today and we can provide you with a quick quote. We service the whole of Australia – from Perth, to Adelaide, to Sydney, to Melbourne, to Brisbane and everything in between. 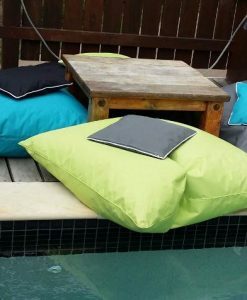 If you are looking to buy outdoor cushions online, check out our range of stock cushions below, or get a quote for custom cushions by clicking on the links below. We are sure you will be impressed with the quality of cushions and the professionalism of our service. We can make covers to suit any indoor outdoor furniture cushions, or other outdoor uses. 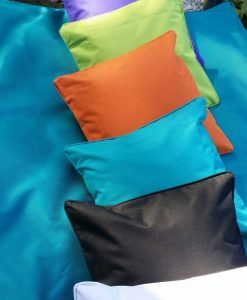 For example, we have made covers to go over an entire outdoor couch (frame and all), covers to protect outdoor heaters, bolster cushions, odd shaped cushions, cushions with straps, lounger cushions, cushion covers for caravans, boats, vans etc. We do not supply cushion inserts or foam. 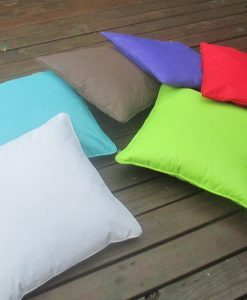 We recommend you visit FoamSuppliers.com.au to have foam cut to size & delivered, or Spotlight for cushion inserts. Ensure that you ask for outdoor foam, which is quick drying.